The Crown Estate and Oxford Properties have re-established historic St James’s Market with 210,00 sq ft of offices alongside luxury lifestyle retail. 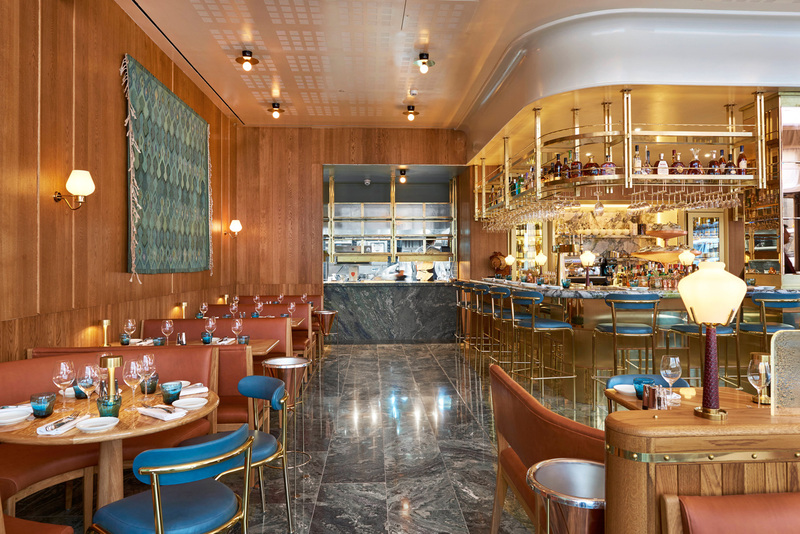 The development on iconic Regent Street St James’s features seven new restaurants centered around a reinvigorated public square. 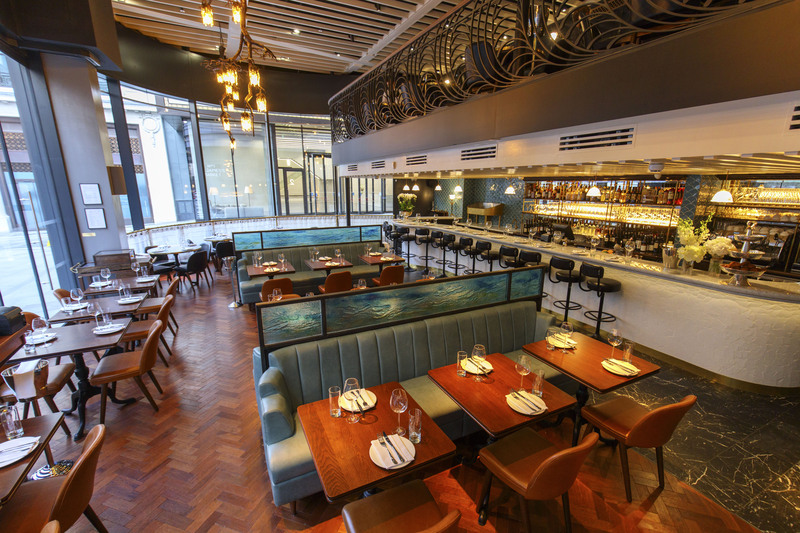 du Boulay have recently completed two of these restaurants on behalf of their clients, Aquavit and Veneta. 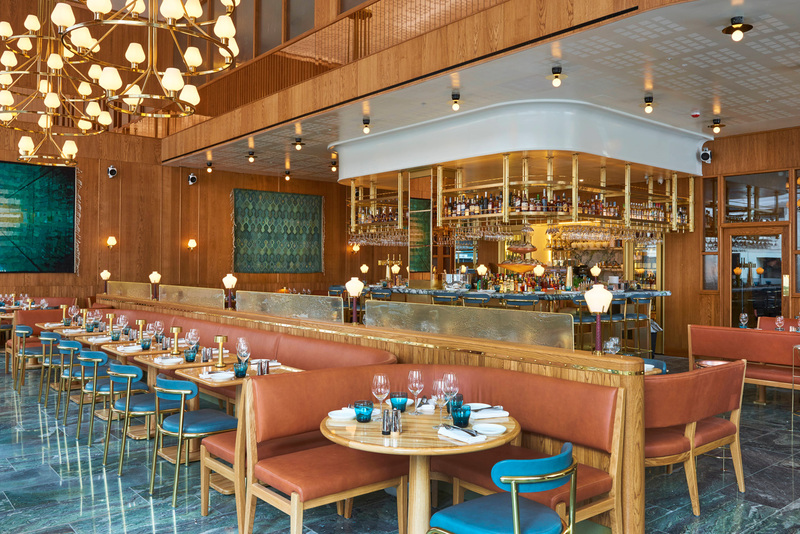 Aquavit’s new restaurant offers a more informal and contemporary Nordic cuisine for all-day dining. 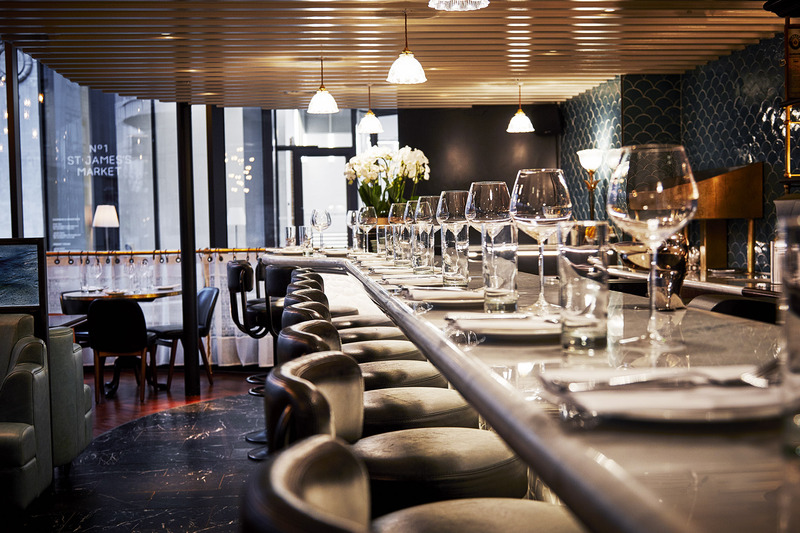 The menu is overseen by Michelin Two Starred Executive Chef, Emma Bengtsson, and will offer distinctly Nordic flavours. The food is light and modern with a focus on high quality presentation. This is matched with the very best in modern Scandinavian interior design, overseen by Martin Brudnizki Design Studio. 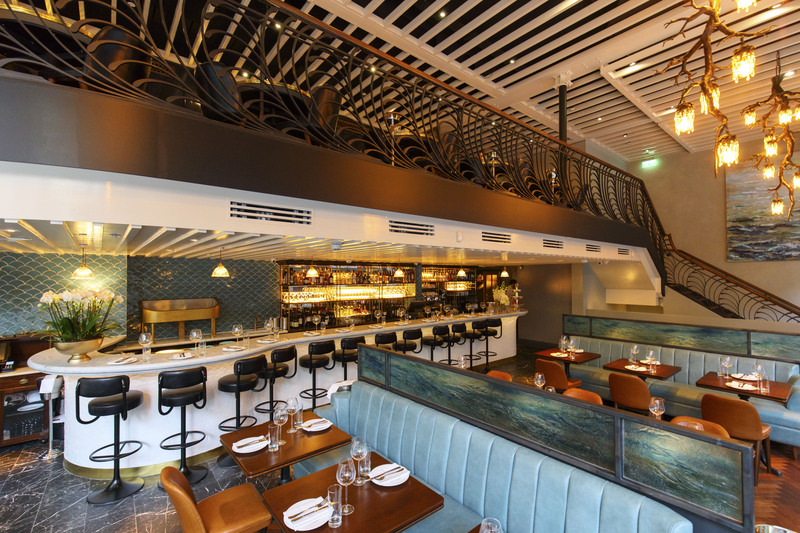 Veneta is a Venetian-inspired restaurant offering snacks and tapas, and a robust list of Northern Italian wine. Veneta is part of the Saltyard Group, owned by Simon Mullins and Ben Tish. Macaulay Sinclair completed the interior design. 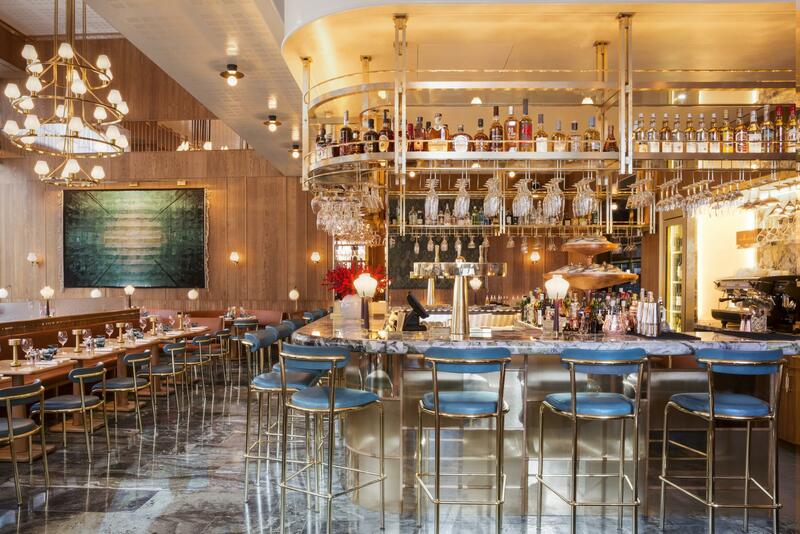 Veneta is an enchanting space, with areas that combine classic bar-counter seating, banquette booths and intimate tables. A touch of contemporary glamour inspired by Venice from a bygone area.